THE FACTS – Last Saturday, October 27th, a miitary police contingent of 1,500 troops bearing high-calibre weapons violently and wrongfully evacuated the Guapinol Encampment. For 87 days, dozens of defenders of water and common property there have resisted the actions of Los Pinares Mining Investment Company, which are hazardous to the biodiversity and to the right to water of the communities in the San Pedro, Guapinol, Tocoa and Abisinia sectors, and which include attacks against social communicators and camera operators who are covering the activity. 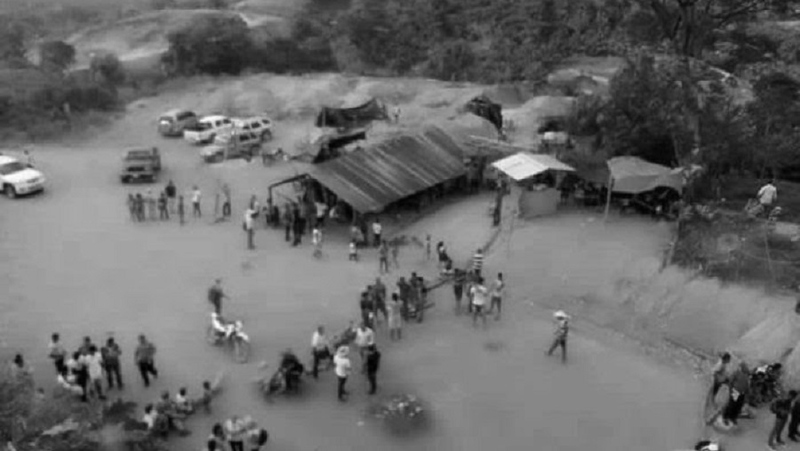 The attacks continued the following day, Sunday, October 28th, in the La Ceibita community, where security guards and employees of Los Pinares Investments attacked townspeople who oppose the mining company. Neither the Police nor the Army did a thing to avoid or put an end to the outrages committed by the aggressors. It has been reported that as a result of the attacks in which tear gas was used, two people were wounded and one was killed, and a fire was set in the home of a woman defender. We of IM-Defensoras condemn these acts and once again denounce the collusion of the State with the private interests of extraction-based companies that are making attempts on the life, integrity and basic human rights of persons and communities instead of guaranteeing their protection, as is their obligation defined in numerous treaties and international Human Rights norms. We think it is important to underscore the fact that such repressive actions along with the extraction-based politico-economic model that sustains them and generates structural violence, are the main causes of the forced displacement of many Honduran people, as evidenced by the Migrant Caravan made up of thousands of people headed for the United States to seek asylum. 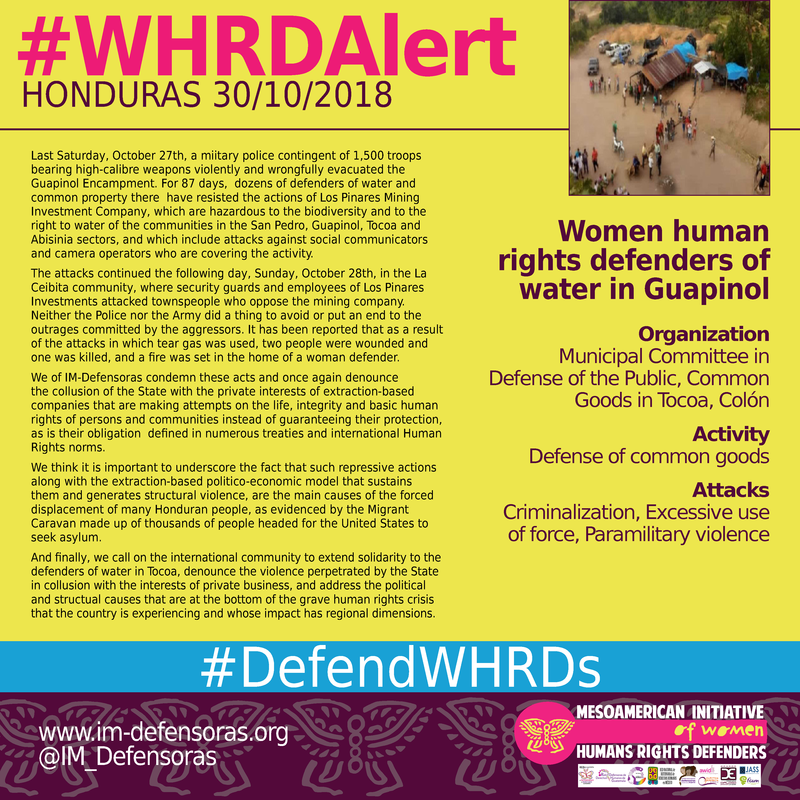 And finally, we call on the international community to extend solidarity to the defenders of water in Tocoa, denounce the violence perpetrated by the State in collusion with the interests of private business, and address the political and structual causes that are at the bottom of the grave human rights crisis that the country is experiencing and whose impact has regional dimensions.